Eventually, if the weather cooperates I will actually have some sailing content up on the site, but for now here are maintenance posts. Since we owned Santosha, there have been these nagging little hatch leaks that have been on my to-do list and this spring with the ridiculous weather we have endured it was time to get them fixed. I was down below a few weeks back during a steady rain and they were leaking pretty badly not just from the normal spot. Sorry for the long delay in posting, Its been a combination of the weather in Virginia (which has sucked) plus my iPhone Camera has been out of commission and I rarely ever remember to bring Jeans good camera with me. I found out a couple of things from the rainy spring. 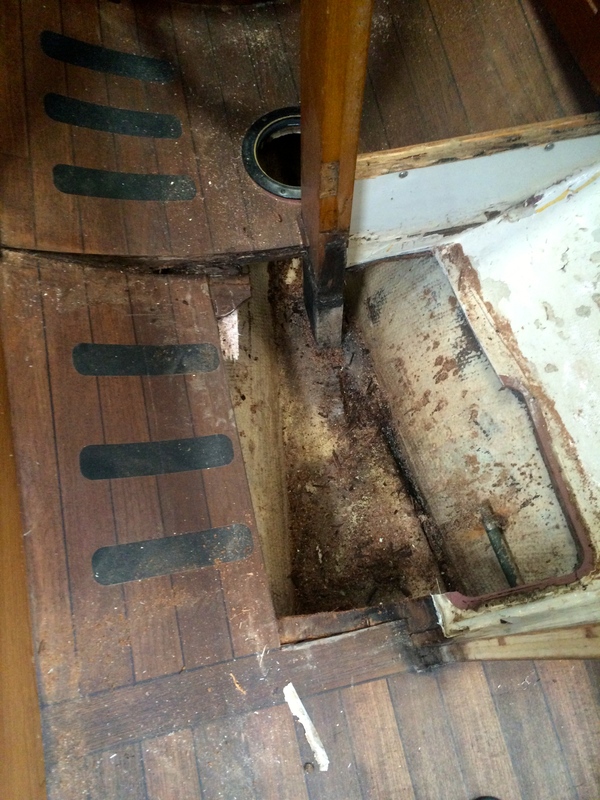 Firstly my hatches leak more than ever and secondly the hull/deck joint which is supposed to be glassed on the inside of the Seawind II was not glassed completely. I realize the I said that “for the most part its finished” but I still had the head door and the veneer to apply over the plywood. I figured that I could get it done in a day so of I went to Urbanna. Jean was supposed to meet me on Thursday for a sail and I wanted everything to look finished when she arrived. First Job was to get the door installed. 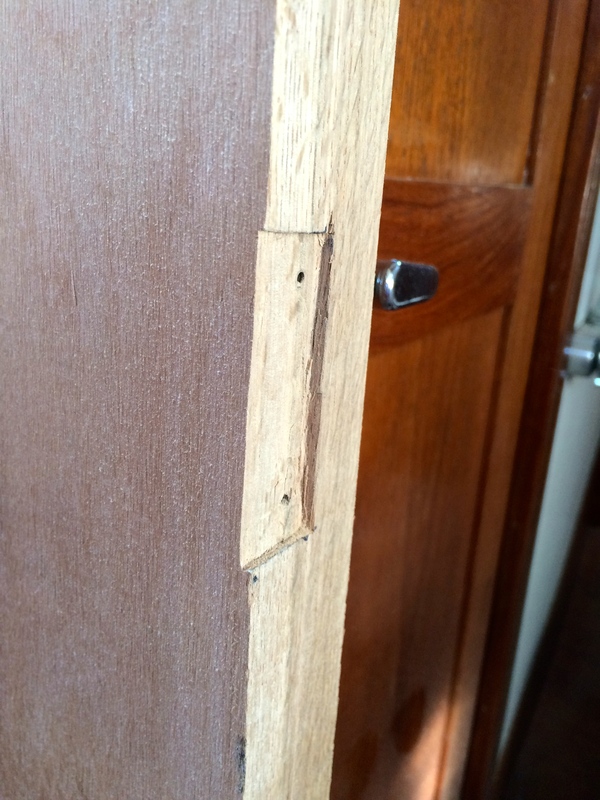 The trim that I removed all needed “customizing” when re installed due to slight differences between the rotted wood that was removed and the new marine ply that was installed so I knew going in that the door was unlikely to slip right in. The one thing that i was hoping for was that I could surface mount the hinges as I had no desire to be chiseling the new Oak post, so much for hope. I went down to Urbanna the other day to wrap up the construction part of the project. 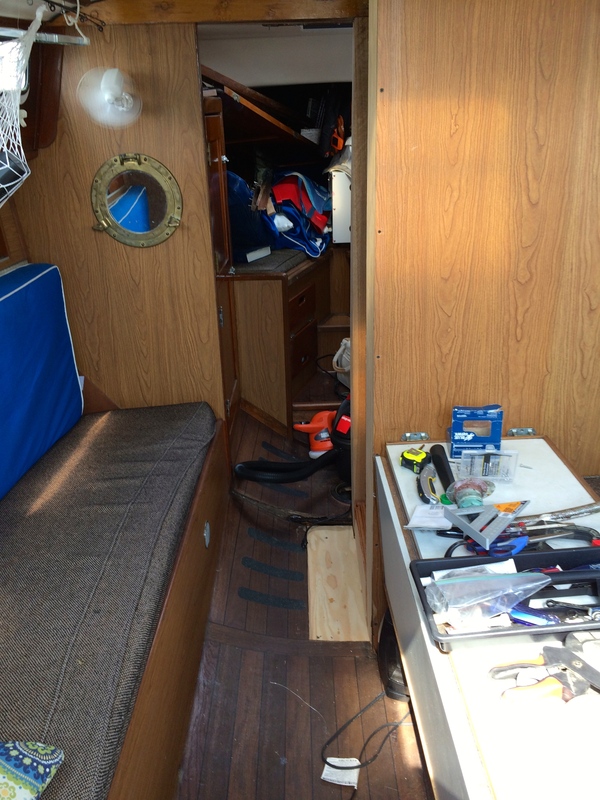 There are still a few bits and pieces to finish but we should be good to go sailing. I had to leave in a hurry last time I was there as my friend who was helping had to be back in town for a family commitment so the place was a bit of a disaster area. the mini 2.5 gallon Shop Vac that I bought has been in valuable for clean up and whilst I cannot keep it on the boat due to storage issues its easy to pack into the car for transport. 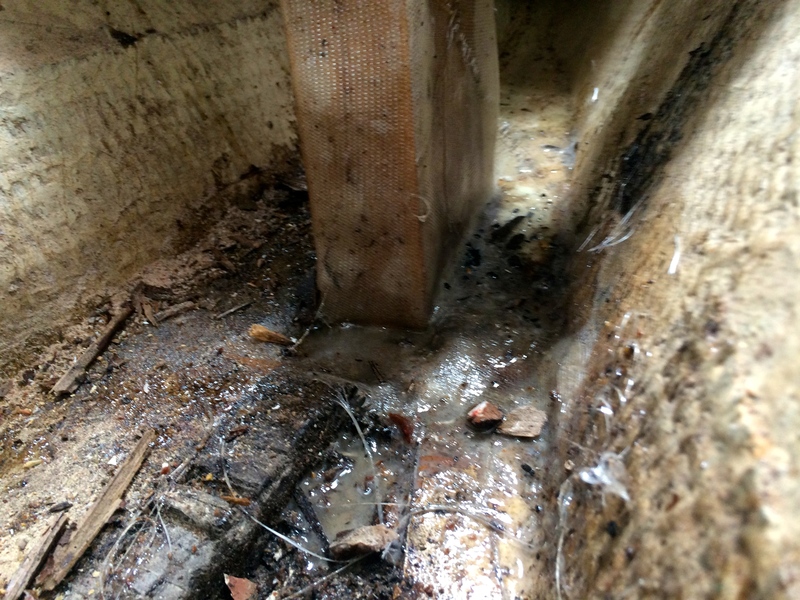 An inspection of the shower pan showed a few voids in the ‘glass that need to be filled plus two of the corners needed building up. Also I needed to smoth out the edges for cosmetic reasons. Back to the epoxy then a good clean! After a night of celebrating our success, the realization that we had to put all this back together set in. So after copious quantities of Advil we set to it. The first job was to glass and epoxy the base of the post into the slot and to the keel to prevent any future moisture issues. 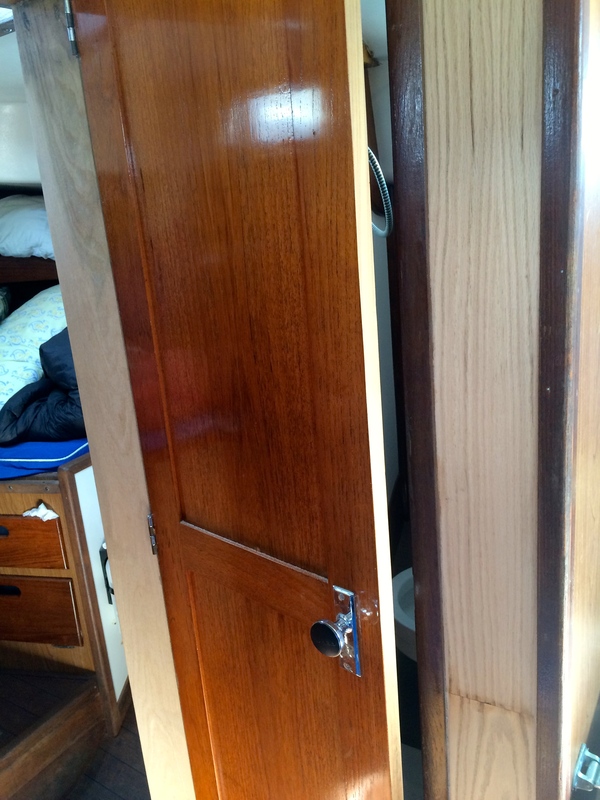 Every year I like to clean the cabin sole and give it a good coat of teak oil. 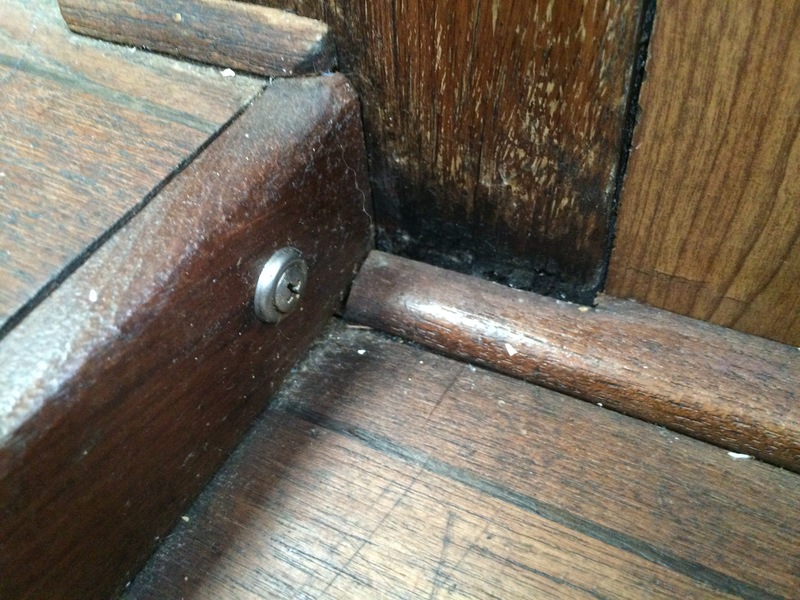 This year I was down on my knees oiling and I noticed the floor looked a little soft…ROT! 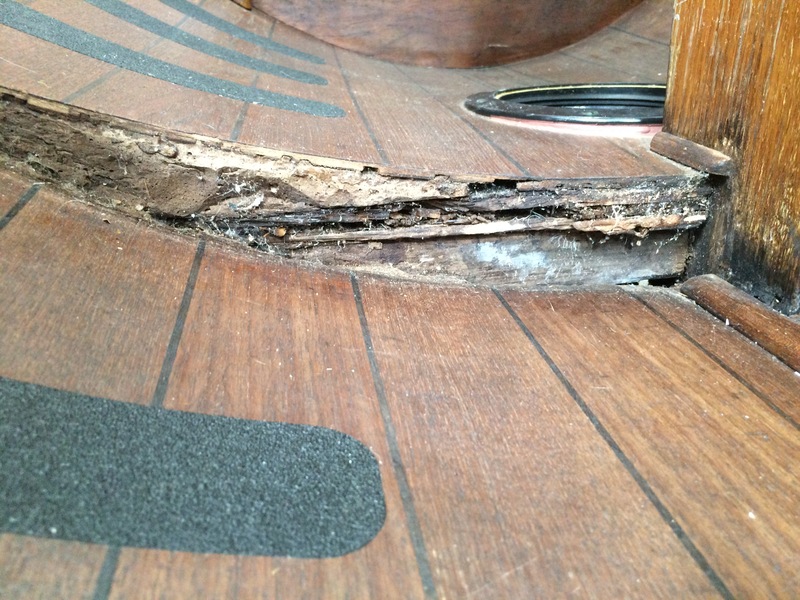 Allied Seawinds’ have always had an issue with rot in the mast compression post but once it’s fixed, its fixed forever. 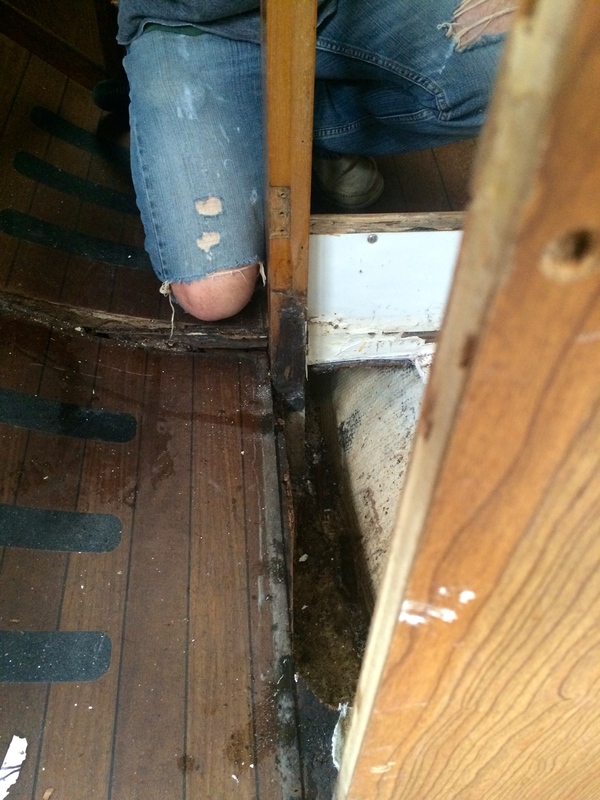 This time though the water seems to have entered around a leaky shower pan and from a couple of deck leaks around the port shrouds.